1. In a large saucepan, season smoked turkey with salt, knorr and onions, then boil until tender. 2. 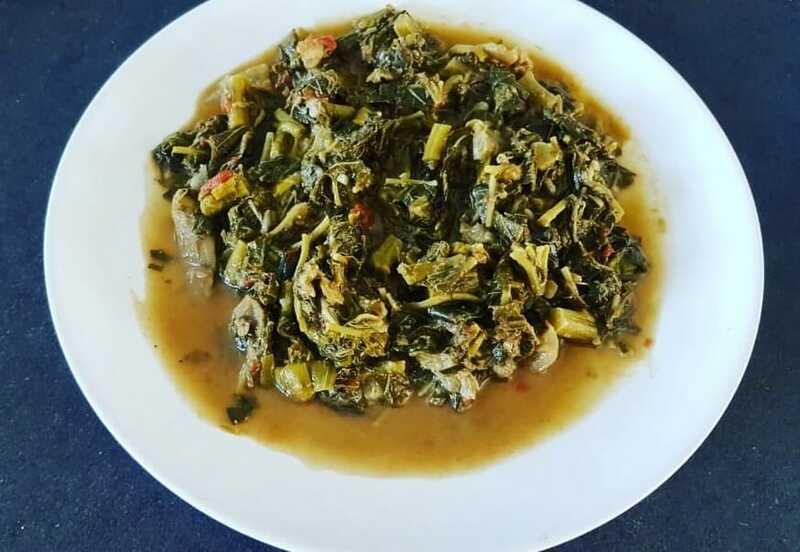 Remove cooked turkey from broth and pour in bitekuteku leaves. Cook for about 10 minutes. 3. Add washed dry catfish and let boil for about 10 minutes. (Also wash dry catfish will salt – especially the skin – to remove any lingering oil or dirt). 4. Add the smoked turkey, chopped eggplant, crayfish and palm nut soup (mosaka) (or palm oil). 6. 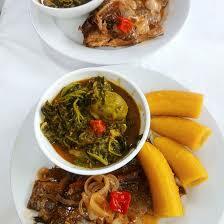 Serve as main dish or side with kwanga, plantain or fufu.